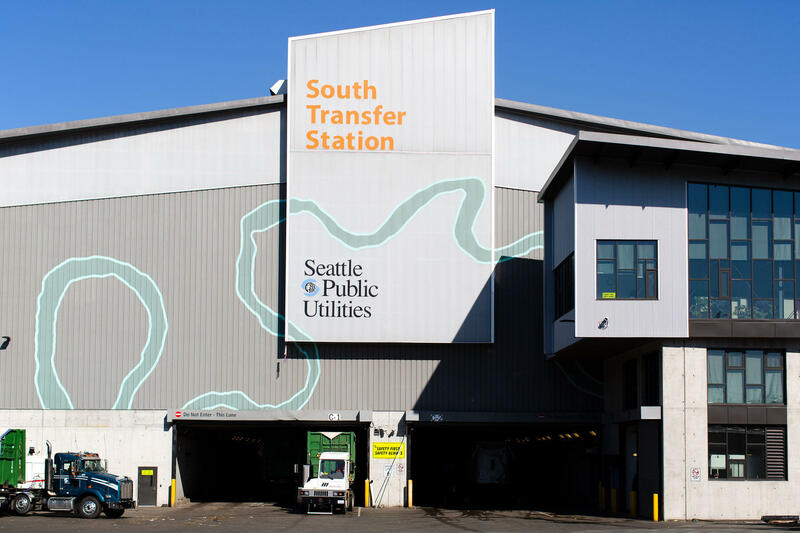 Teachers from the Mercer Island School District toured Seattle Public Utilities' South Transfer Station to learn about solid waste and its impact on the environment Thursday morning February 28, 2019. A visitor on the tour inspects a mound of compost material at Seattle's South Transfer Station Thursday morning. In what’s been called the most ambitious statewide climate science education initiative in the country, Washington state is putting $4 million dollars this year toward training teachers who want to integrate climate science into their lesson plans. It’s part of fulfilling so-called "next-generation science standards," which aim to get students solving problems rather than memorizing facts. Nayiri Haroutunian is a program manager with Washington Green Schools, one of the groups teaching the teachers. They’re offering trainings in locations all around the state. She spoke during a recent one in Seattle at the city’s South Transfer Station. All the programs they’re offering in this series are focused on climate science and its relationship to a local environmental phenomenon. Students visited Seattle's South Transfer Station last week, as part of a green-schools initiative funded by the state. She says climate change is such a large topic, the hope is to help teachers and students tackle it by looking through the lens of real-world problems. Several hundred teachers have taken part so far. At the training on solid waste, about a dozen teachers, mostly at the elementary level, took a deep dive into the science of garbage. They toured the facilities and took a seminar with Becca Fong, a communications and outreach planner at Seattle Public Utilities who sometimes calls herself, simply, “the garbage lady.” She walked the training group through recent statistics on the city’s solid waste, quizzing them on their assumptions. 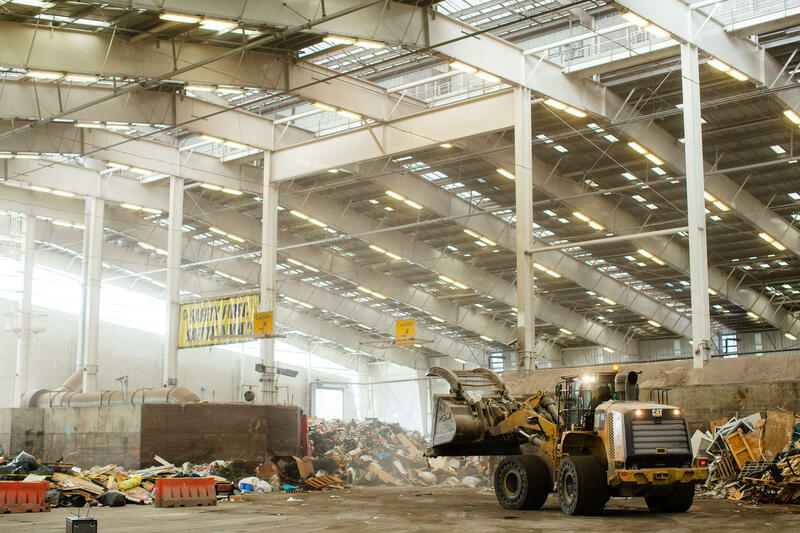 “So – how many pounds of waste do we generate per person in Seattle each year? Don’t be shy – no wrong guesses here,” she exclaimed as a few threw numbers out. All were too low. The correct answer is more than 2,000 pounds per person, per year. And Fong told them that almost 40 percent of what Seattle households throw away is compostable. That’s bad if you want to counter climate change, because as that waste decomposes in the landfill it produces methane, a potent greenhouse gas. Inside the South Transfer Station during last week's field trip for local teachers, who are learning about climate science. This is great information for Linda Wakeman, who teaches special education and co-leads a green team at West Mercer Elementary School on Mercer Island. Students look to her for advice about things such as recycling — and with changes in solid-waste policy from China, she says it can be hard to know what to say. Other trainings in this series have focused on wastewater and storm water, wildfires and sea-level rise. And they all take place in locations where teachers can learn about real-world climate problems to include in their lesson plans. What if we could radically improve human intelligence and treat mental disorders through neuroscience that connects our brains to the internet? It sounds like science fiction. But an entrepreneur from Los Angeles has a company working on it. He also wants to use technology to help solve climate change — and recently unveiled that vision during a talk in Seattle. Gov. Jay Inslee is rolling out his proposed budget for the next two years, covering everything from climate change and mental health to orca recovery. Olympia correspondent Austin Jenkins talked in depth about some of the details on Morning Edition with Kirsten Kendrick. Washington Gov. Jay Inslee has proposed an ambitious package of legislation aimed at tackling climate change. Millennials: The Greenest Generation Or More Of The Same? When she was much younger, Tacoma high school senior Lauren Budd had no trouble convincing her parents to start recycling. But more recently, swaying them to eco-friendly light bulbs was another story. "No, it costs too much," Budd, 17, remembered her parents saying. "And I'm like, 'It won't, in the end for, like, our power bill.'" Budd doesn't always win with her parents, who still throw away a soft drink can on occasion, but it's clear she's not the only teen to grasp the importance of these small, cross-generational battles. It may sound like science fiction, but researchers are getting closer to making it possible to geoengineer the climate. A symposium at the University of Washington Thursday and Friday is exploring the ethics of this possible future. 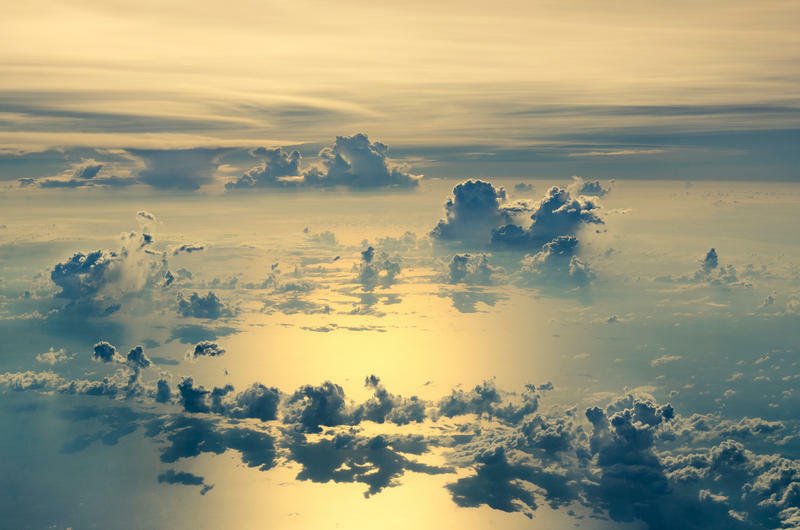 One team is developing a way to cool the atmosphere by brightening clouds. President Trump issued a sweeping executive order on Tuesday that will begin to undo a slew of government efforts to fight global warming. Among those worrying and watching to see how the executive order plays out are scientists who actually are in favor of exploring bold interventions to artificially cool the climate.